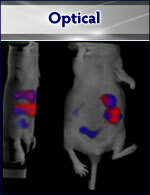 Watch a video tour of the Preclinical In Vivo Imaging Facility at Hillman. Preclinical imaging of rodent models of cancer has proven highly valuable for elucidating cancer biology, determining early on whether a particular therapy is effective, and for translating molecular imaging modalities, agents and applications into clinical practice. 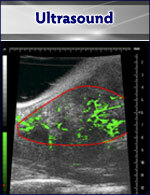 At UPMC Hillman Cancer Center, small animal optical, ultrasound, MR and PET-CT imaging instrumentation reside in one location inside the Animal Facility barrier, enabling investigators to longitudinally image the same mice with multiple modalities. 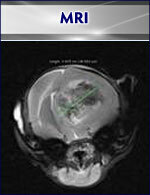 The experts at the IVIF help investigators design imaging studies, whether via single or multiple modalities, that will best address their scientific questions. 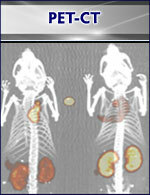 Assistance with contrast agent development in the areas of optical, MR and PET imaging is also available.